This week’s images are from this past weekend where I was stopping by a local mall to pick up a few things. 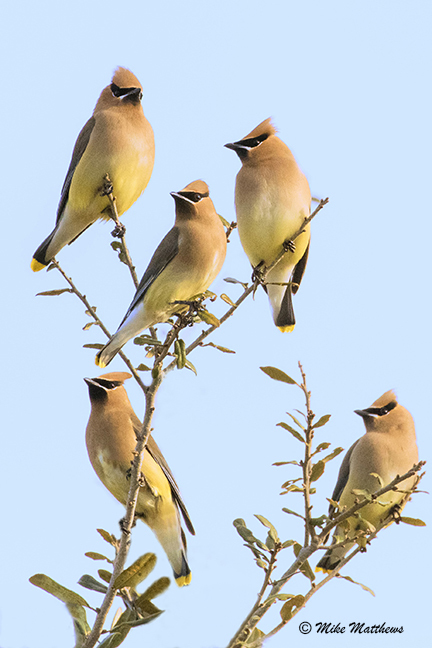 I noticed about 200-300 cedar waxwings in large flocks swarming the local holly trees to eat the ripe berries they had on them. It just so happened that I had my camera with me in the back of the car, so it became a chase following them around the parking lot as they raced from one tree to the other. Being so focused on feeding and traffic coming and going, they very rarely paid any attention to me standing outside the car photographing them. 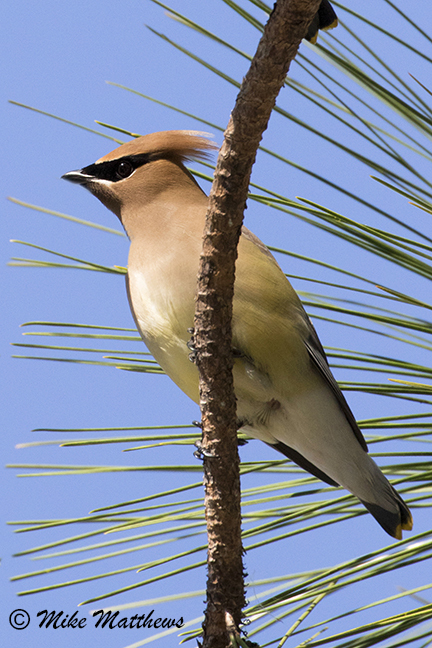 Once they ate all the berries on one particular tree, it was off to the next, sometimes stopping in some nearby pine trees to rest until they were ready to feed again. 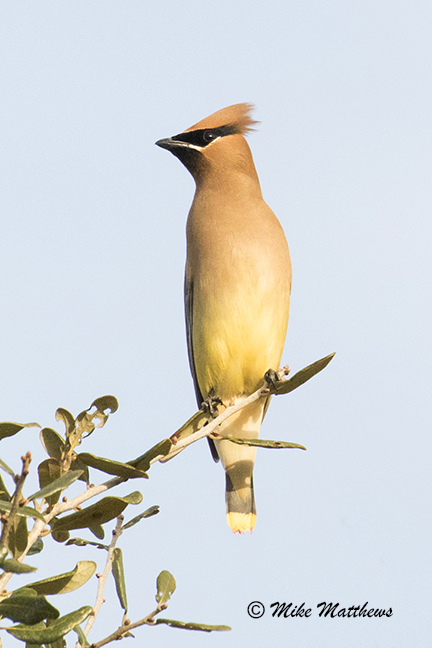 I have always liked this unique little bird, with its black mask and red tip on its wings looking like they were dipped in wax, thus giving them the name Cedar Waxwing. P.S. There are still a few spots left in my macro workshop next weekend at Corkscrew Swamp Sanctuary. Please see the link below on how to sign up. This will be the last chance to participate in this type workshop in Southwest Florida until next spring. Hunt’s Photo and Video is also offering special discounts on all macro flash accessories for this workshop and through the St Augustine Birding and Photo Fest April 29th and 30th. So don’t miss out on these great savings from Hunt’s Photo and Video they are my choice for all my Camera supplies.